Brian Long Consultancy & Training Services Ltd.
Now all the preliminaries are out of the way we can launch Visual Studio and start building an application with Oxygene for Java. Taking the option to manually set the location, I get the following dialog. 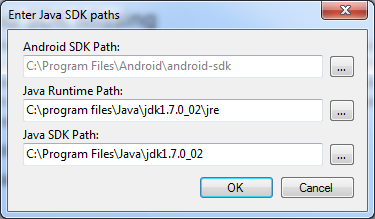 Notice that the invalid path is greyed out. Once the correct path is identified, pressing Retest on the pre-flight check allows us to proceed. Taking them in turn, the Android Application template creates a basic, standard, not-quite-empty Android application. 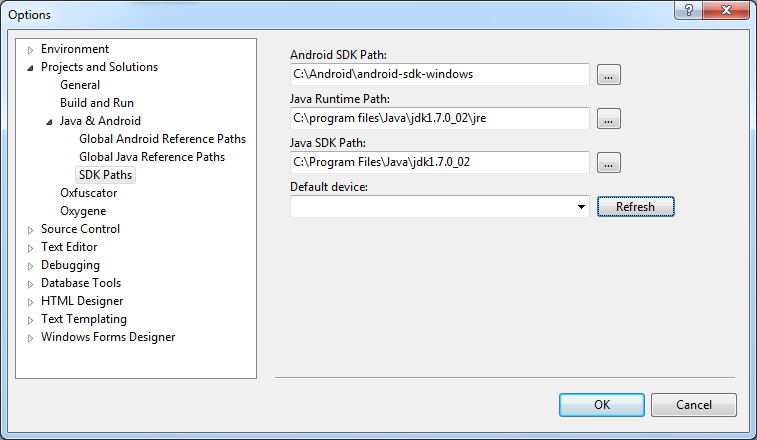 This project has the innate knowledge of the Android tool chain required to take regular Java code, convert it to Dalvik Executable code and package it up with all your Android resources and sign the resultant Android package. 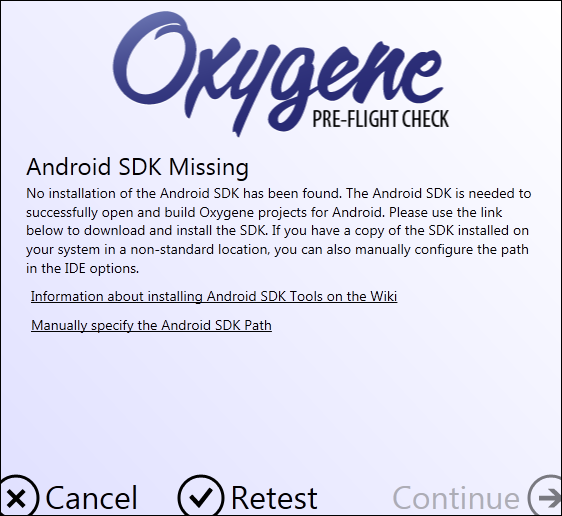 This is what we'll always start with when building Android apps with Oxygene for Java. The Class Library template creates a shared library in a Java .jar file. 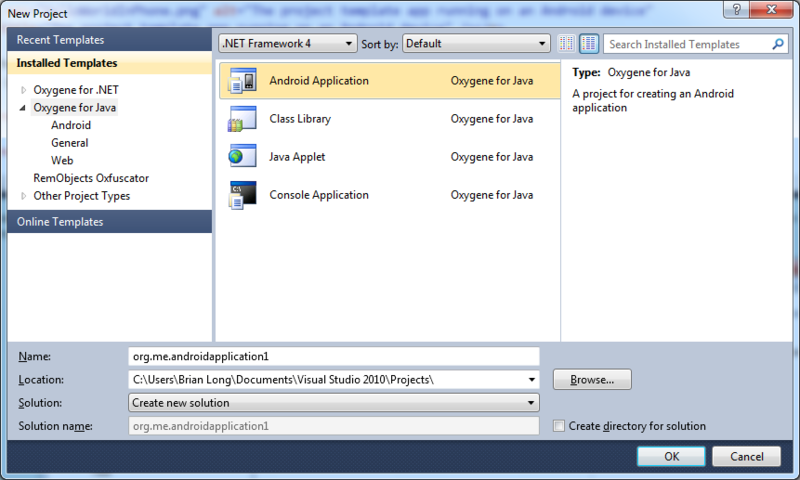 This can be shared among projects built with Oxygene for Java and also shared with projects built by Java developers. The Java Applet template generates a project that creates a Java applet that runs in a web page. The project includes a sample web page to test the applet. 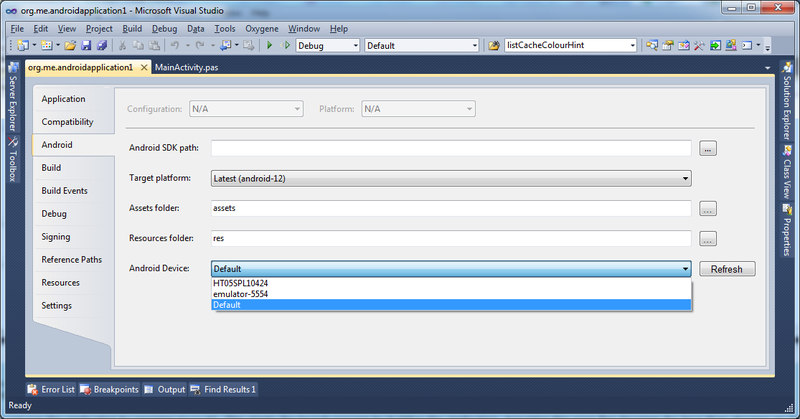 The final template creates a basic cross-platform console application. This starts as a command-line application but can be turned into a GUI app by using Java's Swing or AWT libraries, for example. The code is trivial and the comments help you bluff through what is unfamiliar. 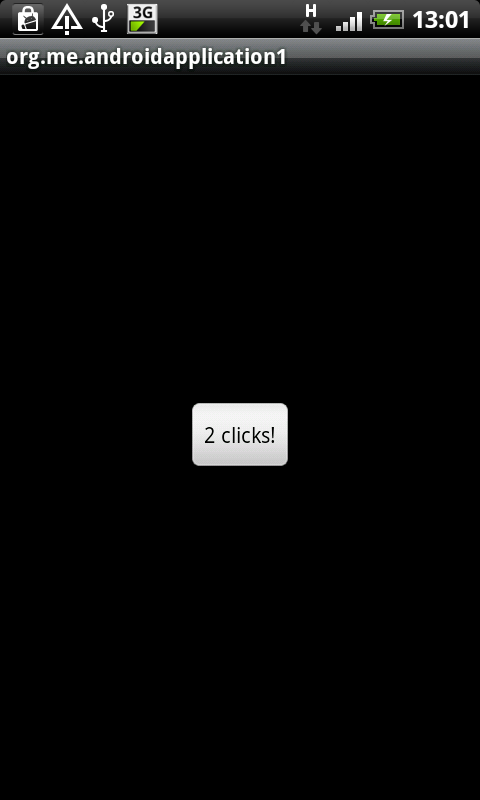 In short it sets up a button event handler. Each time the button is clicked the button's text/caption is updated with a formatted string. From just this source we can't tell what the formatted string is as the value of the string is held elsewhere. We'll see later how the string was defined and how it is being accessed. Note: In the device list emulator images typically start with the word emulator and have a numeric suffix visible on the emulator's caption bar (see the emulator screenshot below). Physical devices are listed by their serial numbers. Note: In order to have physical devices appear in the list of available devices to deploy to, you must have already set up your system to support connecting to the device. Installing whatever sync software comes with your device normally does this - this will install any drivers necessary for communication. For example, in the case of my HTC Desire I installed the HTC Sync software that was supplied on my phone's SD card while the phone was hooked up in the external drive mode. After installing HTC Sync the phone could be communicated with by the Android SDK tools (notably adb, the Android Debug Bridge) just by connecting it with the USB cable. If you cannot locate the drivers you could try looking at the Android OEM USB Drivers page. You will additionally need to enable USB Debugging on the Android device. You do this by pressing the device Menu button and choose Settings, Applications, Development and ensure that USB Debugging is checked. So there we have our first application running on an Android device, be it an emulator or a physical telephone or tablet.